NOTE: Due to technical issues, we experienced portions of slight audio distortion in portions of the show. Thanks for your patience. The issue is being resolved. 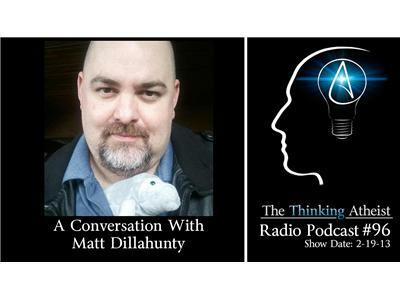 Matt Dillahunty is a former Christian and host of the popular TV show, "The Atheist Experience." He speaks across the United States for the cause of rationalism, and he joins Seth Andrews to discuss his apostasy, his work with TAE and more. Plus your calls and emails.